knowledge of the agricultural machinery industry along with a good knowledge of IT. Full training will be provided. 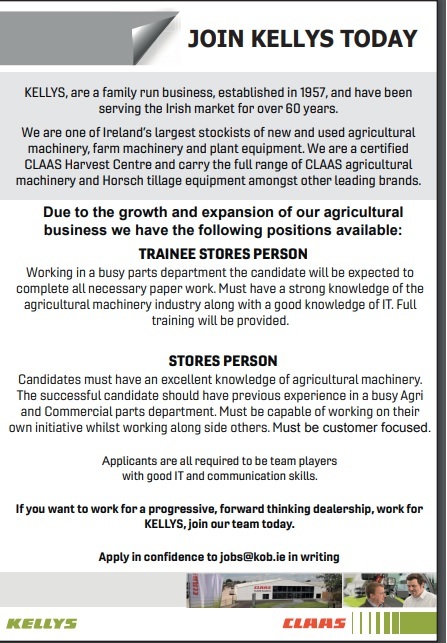 experience in a busy Agri and Commercial parts department. Must be capable of working on their own initiative whilst working along side others. Must be customer focused.